Released: March 2012. Genre: 2D beat 'em up. Other versions: X360; PSV; PC. Though renowned for their survival-horror franchises, players the world over also know Capcom for their fighting games. Many will undoubtedly think of Street Fighter, but they’re also heralded for their crossover beat 'em ups, particularly the Marvel vs Capcom games. So when Capcom announced that they were teaming up with Namco to deliver two separate crossovers of Street Fighter and Tekken, many fell into hysterics. 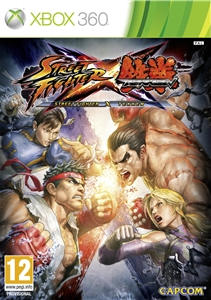 The first of these is Street Fighter X Tekken, where Tekken characters are assimilated into both the Street Fighter universe and engine. Does it result in the fight of the century? Much like Street Fighter IV, SFXT is a 2D fighter, with specials, powerful EX versions of these moves and flashy, finisher moves returning. 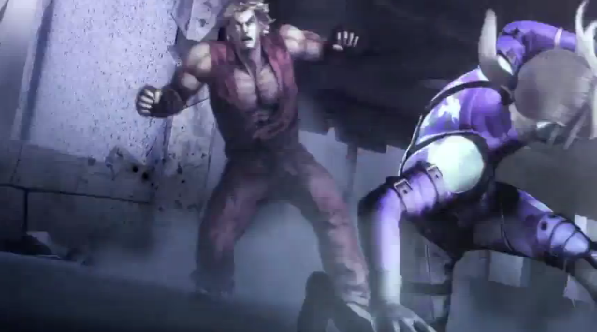 However, a tag system takes the place of 1v1 fights, as characters can be swapped on the fly and a K.O. on one character will end the round. Tag Launchers let you perform a powerful attack and swap characters instantly, Cross Assaults bring your partner in to do some extra damage while Cross Arts let you perform finishers utilising your two characters. On top of that, Gems allow you to place certain boosts on characters, such as more damage or easier combo patterns, while Pandora Mode lets you sacrifice low-health partners for a temporary boost of strength on the other, though failing to K.O. the other team will result in defeat. Though more Tekken Tag than Street Fighter, the mechanics are all solid. Ryu beating up on Chinese schoolgirls. No change there then. 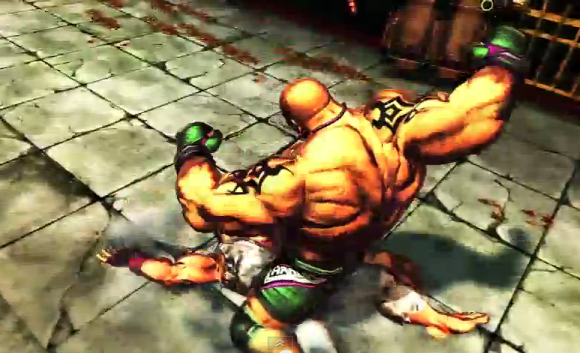 While fighting creates a solid enough foundation, the meat surrounding SFXT doesn’t work out. The roster is pretty disappointing, with 38 characters available, and while that’s more than Marvel Vs Capcom 3, the choices feel a little sketchy. Sure, you get headliners such as Ryu, Jin, Ken and Kazuya, but it feels like many characters from both franchises get shafted such as Eddy Gordo from Tekken or Gouken from SF. More puzzling, however, is Capcom’s decision to lock 12 characters, including Jack-X, Guy and Sakura, for DLC. It would have been nice to have the roster filled out with more fighters, most of which are popular from both franchises, though I certainly don’t miss Leo or Alisa. Outside of roster choices, Tekken characters feel funky – they seem slower and more cumbersome to use than the SF fighters, making it somewhat unbalanced. There’s also a noticeable lack of single-player modes. 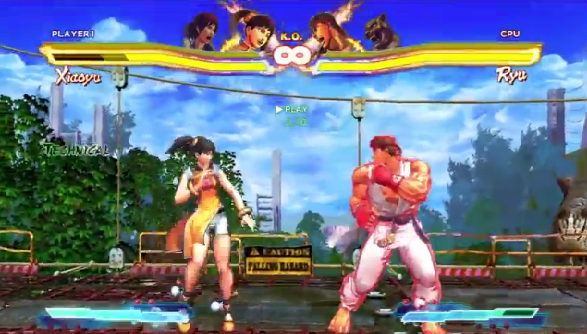 An Arcade mode is present, and it attempts to shake things up through the Tag system. Specific duos create special cut-scenes as well as a unique Rivalry Fight near the end. It’s an interesting concept, and certainly a step above most Arcade modes, but the same handful of tag teams repeat incessantly, meaning it loses its lustre pretty quickly. Outside of that, you can also improve your skills in a Trial Mode, tasking you to complete 20 combos for each character, and Challenge mode, a series of fights with specific requirements for completion. They aren’t enough to sustain too much interest, both requiring a high level of skill to fully complete. The lack of a story mode, or even a battle mode which lets you fight continuous enemies, is pretty disappointing. Online play ends up feeling borderline-broken. You can partake in Ranked Fights, as well as Unranked Endless Battles, where continuous fights occur in lobbies, and Fight Request returns as well, allowing you to crash other players while they take part in Arcade. There’s also Replay Channel, allowing you to save replays of your fights as well as view others, giving you a glimpse of the best-of-the-best or the bottom of the pile. However, matches are plagued by poor connection, reducing fights to a complete crawl at the worst of times even if you’re fighting someone in the same region. In addition, sound glitches are incredibly frequent, completely breaking your concentration, something fighting games need plenty of. Poison = not Street Fighter, not Tekken. Final Fight, right? At least SFXT is easy on the eyes. Borrowing the same cel-shaded style as SFIV, characters look great and the Tekken characters translate well to this style, despite coming from a more realistic style. Backgrounds look good, but there’s only a dozen or so altogether, meaning they become repetitive pretty quickly. Special moves and finishers still look flashy, as special effects take up the whole screen. The audio is a fair bit weaker, with repetitive music becoming quite irritating. The sound effects are better, adding force to the fighting. The voice acting is sketchy, especially if you opt for all-English voice overs. It’s noticeable that this affects lip-synching, as characters who speak Japanese look awkward when you change to English. Rather than being the awesome collision of fighting franchises it should’ve been, Street Fighter X Tekken ends up being one of the most disappointing fighters in years. The underlying combat is still good fun, even if the new additions could dilute the Street Fighter experience, yet Capcom have failed to create any engaging ways to test out this fighting system. There’s a damning lack of single-player modes and online is basically busted at this point. Top that off with a somewhat underwhelming roster, and SFXT feels underwhelming in most regards. Here’s hoping that Namco’s Tekken X Street Fighter will prove much more awesome.